Khushi Baby strives to bridge the immunization gap by bringing technology to the last mile and working extensively in the mHealth sector in the rural villages of India. As a part of one of their baseline studies, they used SurveyCTO to collect data from pregnant women. 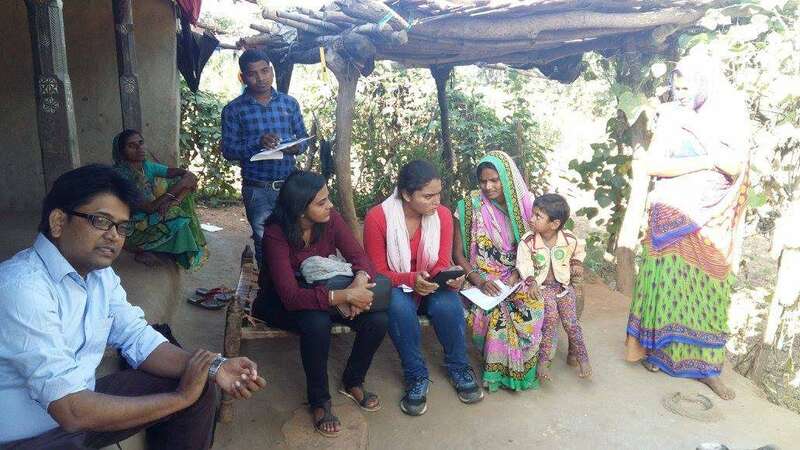 They interviewed approximately 5000 pregnant women about their socio-economic status, general demographics, health awareness, health status, and immunization coverage, visiting more than 600 villages in five administrative blocks of District Udaipur, Rajasthan. Khushi Baby is also using SurveyCTO to interview public health workers, officials, and other stakeholders. We were keen to learn how SurveyCTO was being used in a village like Jhadol, which lacks basic amenities such as electricity. In speaking with the Khushi Baby research team – which included Mr. Mohammed Shahnawaz, COO, Dr. Vijendra Bansiwal, Program Manager, and Mr. Pawan Singh Bhadauriya, Project Associate – we learned that the dashboard analytics features have been providing immediate opportunities to improve field decisions. They reported that the Hindi translation of SurveyCTO Collect was especially helpful in Jhadol since the local enumerators could read and write in Hindi. When we chatted with the enumerators later in the day, they shared that their data collection work had been streamlined with SurveyCTO and that they were impressed with the battery life of the tablets (seven hours! ), which was very important as there was no source to recharge batteries within the village. One of the best parts of the trip was connecting directly with users in the field. So often we are glued to our desks providing support or dreaming up new product features. Taking a day to meet with project staff was a wonderful break, made all the more enjoyable by our thoughtful hosts.